Start Description: In my dreams, I know the path through the Glassgarden to the Peacock's Door: the most admirable of Doors, the Door which shines like a mirror. Perhaps, with the right resources, I can pass it. 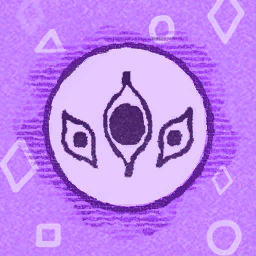 Description: The Peacock's Door is purple as the sweetest gem, as the ripest fruit, as the most depthless prose. It takes my reflection and returns nothing. When I wake, I won't recall my dream. Description: The Peacock Door does not open, exactly.